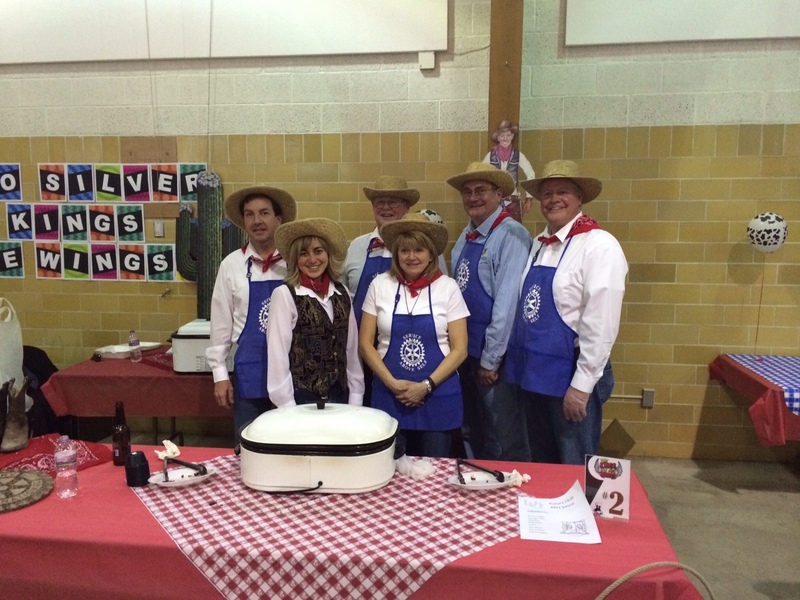 After TRF representative Richard Laager narrowly missed the award for collecting the most clothes-pins (handed out by Fargo’s Interact Club), a deal was made to purchase the bottle of wine for $50 and auction it off at the next TRF Rotary meeting. 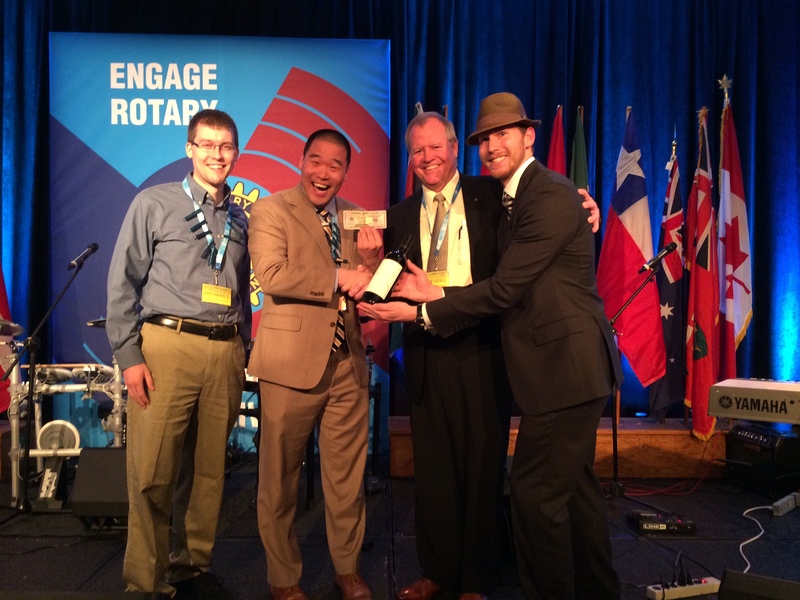 As the original winner of the prize, Mark Lindquist graciously agreed to donate the money traded for the bottle to the PolioPlus fund. 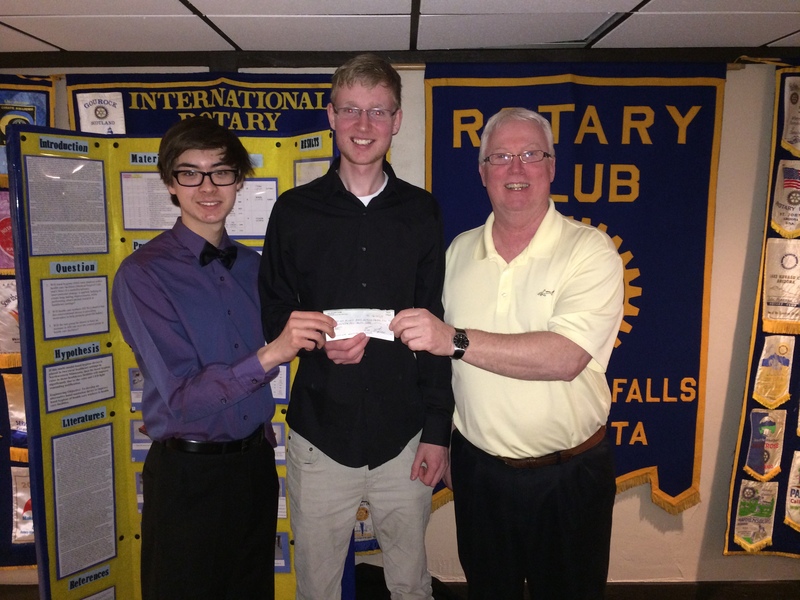 Another $100 was donated in Thief River Falls on May 13, 2014 for the Polio Plus fund by Tom Greelis, bringing the donation total to $150. 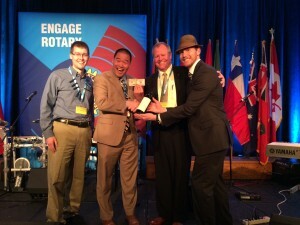 Using “Rotary Math”, a 2-to-1 match is applied by the Bill and Melinda Gates Foundation bringing the total donation to $450. As every vaccination costs 60 cents, this single act of “service above self” means that 750 children will be vaccinated.